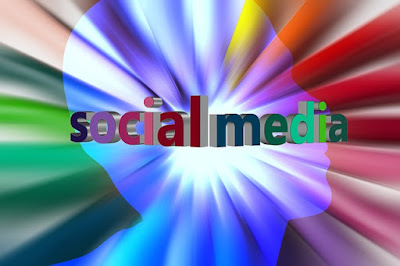 Social Medium is the best platform that can drive lot of traffic and audience engagement to the business. That's what most of the developers concentrate on building different social media's engagement tools. Here you can add all your social profiles in a single dashboard, so that you can easily schedule, monitor and work an all of your social platform. Most of the business owners already using some important social tools like Buffer, Social Sprout, HootSuite and Bitly to manage social profiles. Main problem is most of the tools charging money. Here the list of some free tools that can helps to manage, monitor the content that you shared. Strength - calculated by brand being discussed on different media's profile. Sentiment - Calculated by ratio of positive mentions over negative mentions. Passion - Calculated by individuals continuing to mention your brand. Reach - calculated by dividing the number of unique authors with of total number of mentions on all social platforms. It helps to monitor for specific keywords. When the real search engine was launched it helps to bloggers to keep track of their blog mentions. This tool can able to track mentions of all three social medium like Facebook, Twitter and Google+ together or separately. The main feature of this IceRocket is it offers trend report to the particular keyword. This tool shows an overview about brand reputation and influence. Brand reputation is calculated by searches on Google, Twitter, Bing, YouTube, WordPress, Flick and most of the recent blog post, video, images based on keywords. This tool is customizable, the results shown in the Addictomatic breaks all the search results into the headers. Unlike other social medium tools, SumAll is designed especially for small business owners. It not only gives the overview of social media measuring and monitoring, it also connects you to the services like Google Analytics and PayPal. SumAll's free plan can able to connect business owners to 42 different services. This tool helps to create an simple and creative shareable content on social medium that can drive lot of traffic to the website. Quizzers can provide information about the website and provide a better opportunity to connect with the audience. This tool helps to create various quizzers for all your social media platforms. So that business owner can create BuzzFeed like quiz or that can give an actual grade to the post. Users can choose wide range topic according to their niche. These are best tools to identify the companies' social engagement. Aaliya Dhaha is an web enthusiast and part time blogger, who working in Melbourne ZuanSEO who are leading PPC Services Melbourne company.